Dr. Belasco is a credentialed impact consultant (CIC) and the medical director of the Bon Secours Concussion Management and Rehabilitation Program, one of the largest sports concussion programs in downstate New York, providing care for close to two thousand concussion and mild traumatic brain injury patients a year. The Concussion Management and Rehabilitation Program is an integrated program of multiple medical disciplines and technologies providing a state of the art experience for the patient, offering patients access to the most up-to-date medical treatments available for concussive injuries and provides care for patients throughout the Hudson Valley in New York as well as Pike County Pennsylvania and Northern New Jersey. A recognized regional expert on concussion, Dr. Belasco provides lectures and training for athletic departments and healthcare professionals alike on the newest state and federal regulations for concussions and return to play protocols. Dr. Belasco also serves as an expert consultant to over a dozen local school districts and colleges, Orange County (NY) BOCES, the Orange County Interscholastic Athletic Association, the Orange County Department of Health, several local hospitals, regional sports programs, and medical associations. Dr. Belasco also serves as medical director of the Occupational Medicine Department of the Bon Secours Charity Health System and the school doctor for the School Districts of Middletown, NY and Goshen, NY. Dr. Belasco also participates in cutting edge research in the area of sports concussion as the content expert on concussion for one of the largest national health policy research firms. 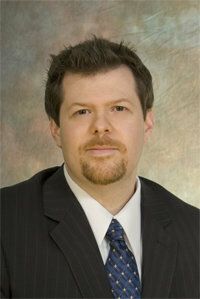 He has worked on projects for private groups as we as the CDC in the area of concussion research. Dr. Belasco has also presented at the Institute for Healthcare Improvement on the topic of patient safety and medication reconciliation within graduate medical education. Dr. Belasco attended medical school at the New York College of Osteopathic Medicine and completed his residency at Overlook Hospital in Summit, New Jersey, a member hospital of the Atlantic Health and Mount Sinai Medical Systems. In 2010, Dr. Belasco completed his fellowship in Sports Medicine with the Atlantic Healthcare System, home of the New York Jets, and began working with the Bon Secours Medical Group in September of that same year.